BPI Sports Pump HD is formulated with well-researched, trialed and tested ingredients proven to build muscle and increase exercise performance. 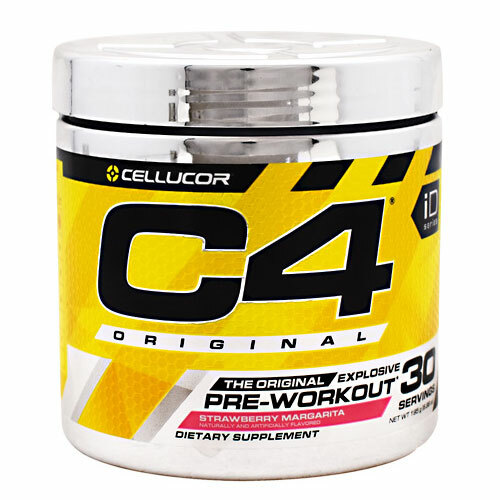 Combine this with the strongest PRE-WORKOUT ENERGY SYSTEM on shelves today, for explosive workouts unlike anything you’ve ever experienced. PUMP-HD contains THE clinically tested form of BETA-ALANINE, CarnoSyn, which has been shown in groundbreaking research to be the gold standard for improving performance, power, stamina, and endurance. CarnoSyn works as a lactic acid buffer, reducing fatigue and increasing exercise capacity. In short it allows you to train harder and longer. In fact, research shows that each dose of CarnoSyn literally builds on the dose before, and that performance continues to increase with ongoing use. 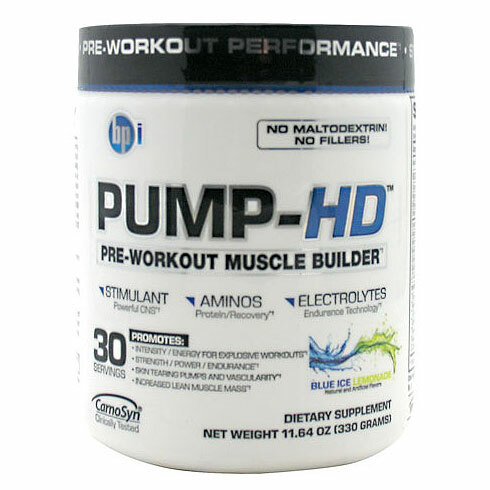 PUMP-HD also contains ORNITHINE AKG for its pro-anabolic and anti-catabolic effects. CREATINE MONOHYDRATE the most researched muscle building supplement on the planet. LEUCINE for stimulating protein synthesis, pump and vascularity instigating profile unlike any other. To complete this lean muscle building formula we’ve added an advanced ELECTROLYTE blend to rehydrate and refresh for maximal muscle output. 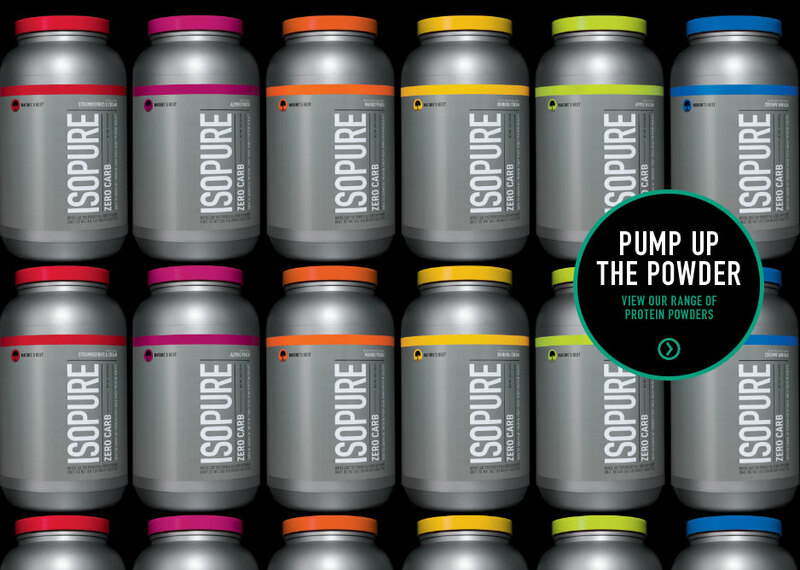 In June 1998, Nature’s Best revolutionized the meal replacement supplement industry with the introduction of Isopure. 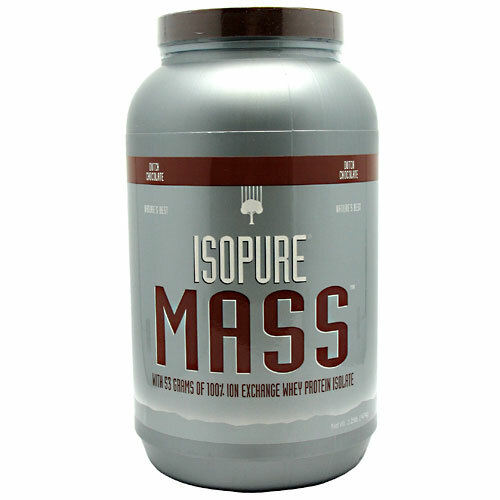 Isopure is the first meal replacement/after workout supplement to have 50 grams of 100% Pure Ion Exchange Whey Protein Isolate. All of the impurities such as fat and lactose are removed to provide the athlete with the cleanest tasting, most refreshing product of its kind. 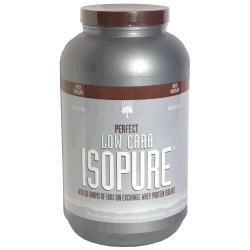 Isopure is also available in a Zero Carb and Low Carb version. All formulations of Isopure are lactose free, which means less gastric disturbance with minimal bloating, a huge advantage to those who are lactose intolerant. 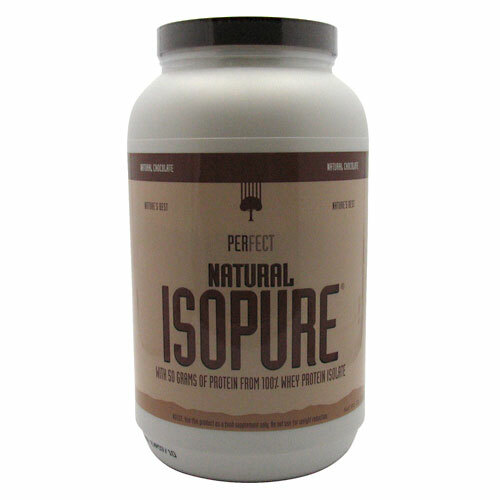 In October 2009, Nature’s Best launched Isopure Plus – a new line of whey protein isolate drinks that are easily digested and readily absorbed by the body making it a perfect alternative to patients that can’t tolerate other drinks. By using our proprietary Clear Protein Technology to create a line of clear, delicious, protein-based nutrition drinks, Isopure Plus brought innovation to a market long dominated by thick or milky shakes. The refreshing crisp taste of Isopure Plus makes it the clear alternative to other nutrition drinks.